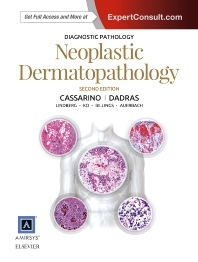 Ideal for pathologists, dermatopathologists, and dermatologists alike, Diagnostic Pathology: Neoplastic Dermatopathology, second edition offers the latest findings with regard to the interpretation and diagnosis of cutaneous neoplasms. Its detailed format with lavish illustrations facilitates the clinician’s ability to quickly locate relevant information. Concise, bulleted text with extensive illustrations expedites access to the important medical details for diagnosis.